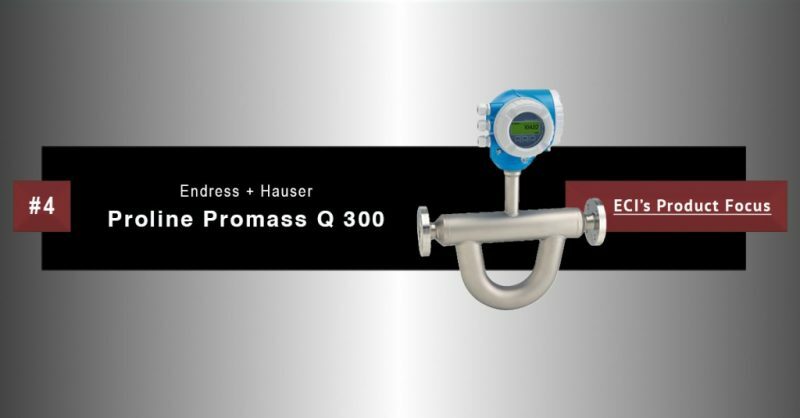 Endress+Hauser Proline Promass Q Coriolis Flowmeter - Eastern Controls, Inc.
Endress+Hauser (E+H) is a global leading supplier of products, solutions, and services for industrial process measurement and automation. Comprehensive process solutions for flow, level, pressure, analysis, temperature, etc. are offered across a wide range of industries, optimizing the economic efficiency, safety, and environmental protection of your processes. What is the Proline Promass Q? E+H’s Proline Promass Q takes an innovative new approach to providing active compensation for overcoming the problem of measuring fluids with entrained gas accurately. This real-time compensation is achieved using a revolutionary and patented new technique in Coriolis metering, called “Multi-Frequency Technology” (MFT). E+H’s Heartbeat Technology ensures maximum product and process safety. Sensor, measuring tubes and electronic can be verified without process interruption. In case of a sensor or electronic problem, real text remedy instructions are provided. The data handling concept (HistoROM) makes the exchange of spare parts easy and reduces the downtime. To learn more about the Proline Promass Q and/or other E+H products, please contact ECI by filling out our contact form and a representative will reach out to you within 24 business hours.